For nearly 40 years, Sibos has brought financial leaders together to network, collaborate and make sense of changes in the industry. 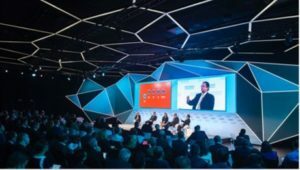 The Sibos conference helps to build an understanding of the forces impacting the financial community. Under the theme of ‘Building for the Future’, the 2017 conference programme will study the industry’s burning issues, including cybersecurity, Artificial Intelligence (AI), the impact of geopolitical and regulatory shifts, and data and identity. 93% of last year’s delegates said that they found the new four stream structure useful. Featuring in-depth panel sessions, debates and hundreds of speakers from a range of backgrounds, the 2017 programme will again be structured around four streams. 1Banking. The Banking stream will cover the future of payments and the challenges facing correspondent banking. With APIs being rolled out, and promoted through local regulations such as PSD2, open banking is clearing the field for new entrants. How will banks cope with this potentially disruptive change? Meanwhile, banks, alongside FinTech initiatives, have confirmed their interest in Distributed Ledger Technology (DLT), testing the waters with various trials and proof-of-concepts. What are the key takeaways from these initiatives? There will also be sessions exploring new collaboration models for banks and corporates, with increased demand from treasurers for speed, transparency and traceability in cross-border payments and a renewed push on digitisation in the trade finance sector. And whilst financial inclusion is seen as key to reducing poverty and driving growth in developing countries, more than 50% of adults in the world’s poorest households still don’t have access to a bank account. How can we overcome these challenges? 2Compliance. The Compliance stream will look at developments in financial crime compliance and how banks are responding. The challenges around anti-money laundering and counter terrorist financing are becoming more sophisticated. Can RegTech transform AML in the same way that FinTech has reshaped payments and investment management? With profit margins shrinking and the correspondent banking model under siege by new entrants and a retrenchment in globalisation, could automation, AI and outsourcing provide cost relief in sanctions compliance? In an industry where safeguards at one institution can be undermined by weak security at another, is it time to include cyber exposure as a core element of Know Your Customer (KYC) risk controls? 3Securities. The Securities stream will examine how regulatory changes are shaping market infrastructures, and how the market players are responding. CSDs and custodians are looking for practical solutions for an ever-changing regulatory environment as well as harmonisation initiatives – ISO 20022,T2S, CSDR and MIFIDII to name a few. How does this impact financial institutions? It’s estimated that AI will surpass human intelligence by 2019. It has potential to take routine, repetitive processes and make them more efficient, removing the risk of manual handling and reducing costs. But can we truly cope with AI technology running our middle and back office systems? Does the further digitalisation of data in the securities industry create opportunities for cybercriminals? The stream will also explore whether blockchain technology a viable solution in securities markets examine how to move from use cases to business cases? 4Technology. The Technology stream will consider the profound impact that breakthrough technologies are having on financial services, and how they can deliver value to customers as well as address the challenges of cybersecurity. Collaboration between the financial services industry and FinTech ventures is gathering speed, opening up myriad opportunities for both. Working in partnership enables the industry and its customers to benefit from the latest innovations while giving technology start-ups access to the financial strength and scale needed to commercialise their ideas. With the industry increasingly embracing FinTech, what does that mean for the long-talked of push into financial services by ‘BigTech’ players such as Google, Apple and Facebook? And as cybercriminals improve their tactics and techniques faster than security teams can keep up, experts say that their greatest security concern is employee error. What measures can be put in place to reduce the risk whilst allowing employees to carry on with their business as usual?